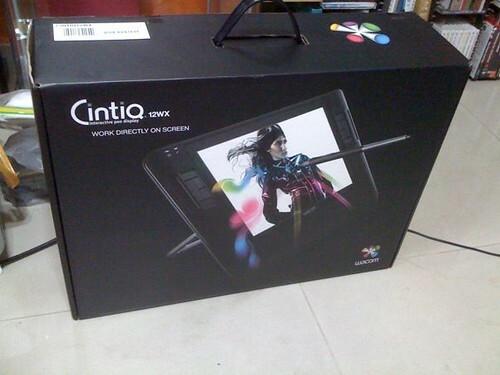 Bought a Wacom 12 inch Cintiq today. My first Wacom tablet was bought in 1999. That was only 9 inch. MC Logic, a local company which produced tablet like Wacom during that time, approached me to do live caricature sketching for them at their booth during an exhibition. Their stylus has a cable at the other end. I felt quite restrictive. Just like someone holding your stylus at the ther end while you are drawing. It is not as pressure sensitive as Wacom too. To practise and prepare myself for their show, I bought a 9" Wacom tablet. The difficulty with this tablet was that you have to coordinate in such a way that you draw on the tablet, while looking at the screen. That was quite a challenge. This Jacky Cheung caricature was done up as sample for their show. 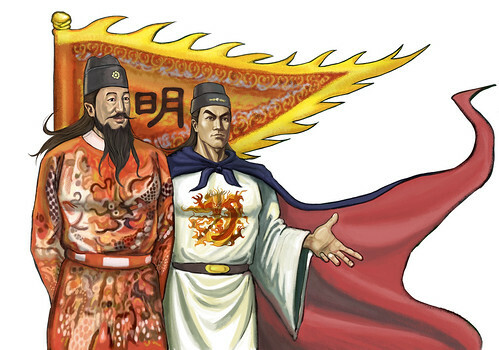 I have done quite a number of digital illustrations after this job. However, it is still not as popular as my marker caricatures. Still the same as previous tablet, I was drawing on tablet, and watching the screen to see the outcome. Many undos during the process. This Wacom Cintiq is different, as I draw directly on the display screen, which is the tablet area too. It is just like drawing or painting, but on ifferent media, instead of paper. The feeling is very good. It is a lot easier and faster, ie, more effcient. Most important factor of why I finally bought this Cintiq is that the price came down a lot. Few years ago, it is selling around $4000- $5000. Really jaw-dropped price, of course bigger screen. I can only afford a 12 inch version currently. Also, I am not sure if there's enough demand locally for me to move on. I saw many fantastic oversea artists (on my personal Facebook) doing digital caricatures. Just make me very itchy to try again. 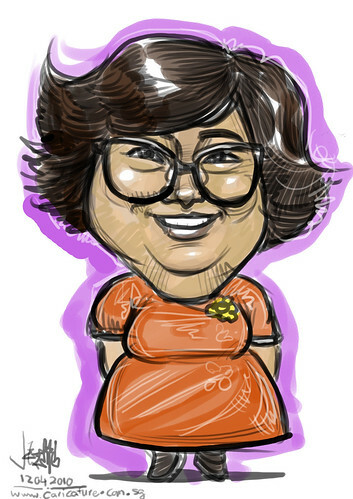 I test drive on this Cintiq with a quick sketch of Lydia Sum's caricature. Thumbs up on teh ease of use, but not very happy on the resemblance part though. I will explore more on this when I finish the jobs on hand, which due very soon.